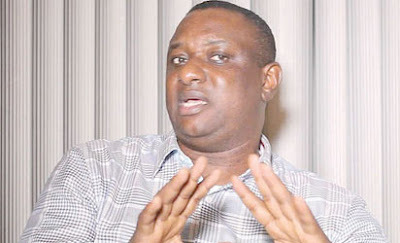 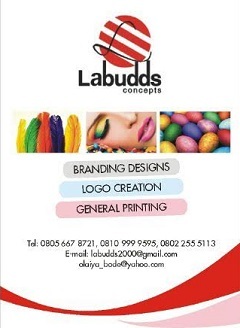 The Director, Strategic Communications of President Buhari 2019 Presidential Campaign, Festus Keyamo, has distanced himself from a fallacious statement making rounds on social media. 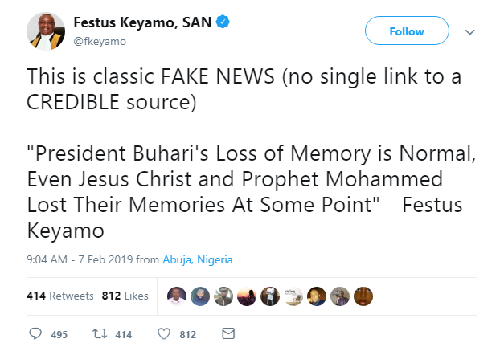 Keyamo on his official twitter handle squashed the assertion, adding that “This is classic FAKE NEWS, it has (no single link to a CREDIBLE source). The story therefore may have been spawned by mischief makers.